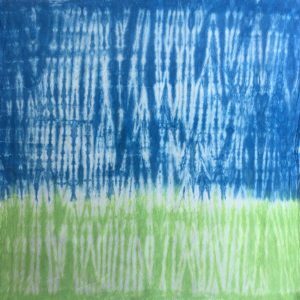 As I write this, the end of August draws near. In New England, we still have several weeks ahead of beautiful warm weather, but when September rolls around, you can’t help but feel that summer is over. The kids go back to school, the days are ever so slightly shorter and you start to see signs for apple picking as you pass the local farms. This time of year tends to be bittersweet because autumn is quite beautiful and something to look forward to. But as of yet, I am not ready to let go of summer. 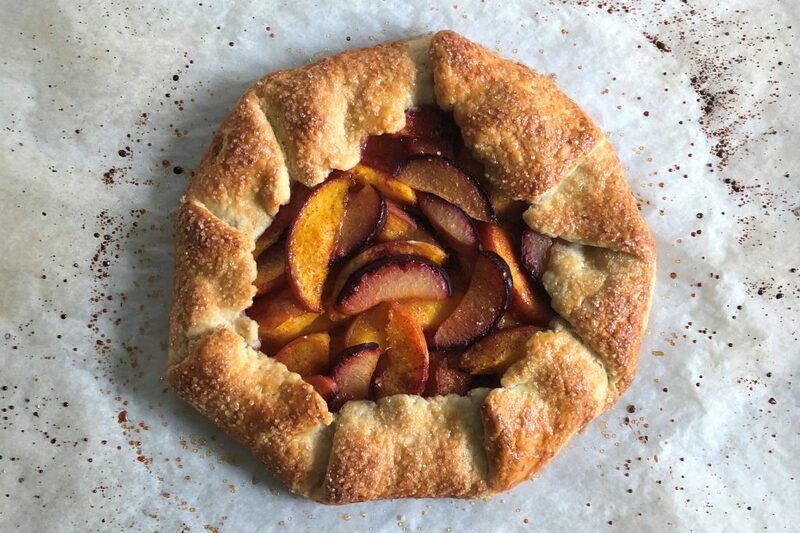 And with that in mind, I went to the market, loaded up on sweet summer stone fruit and made this absolutely delicious Peach and Plum Galette. I am not really an accomplished pie maker (yet) so the idea of a galette appeals to me. 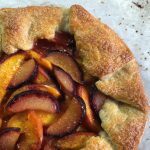 A galette sounds fancy but it really is just a rustic, free form pie . 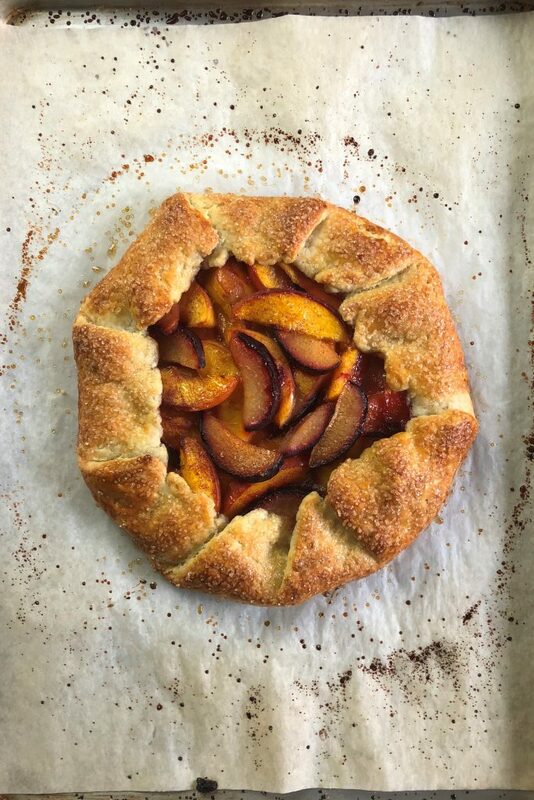 You make a simple pastry dough, roll it out, and pile some fruit on top and bake. OK, there are a few more simple steps but you get the idea. And because it is supposed to look rustic, it’s really hard to go wrong. 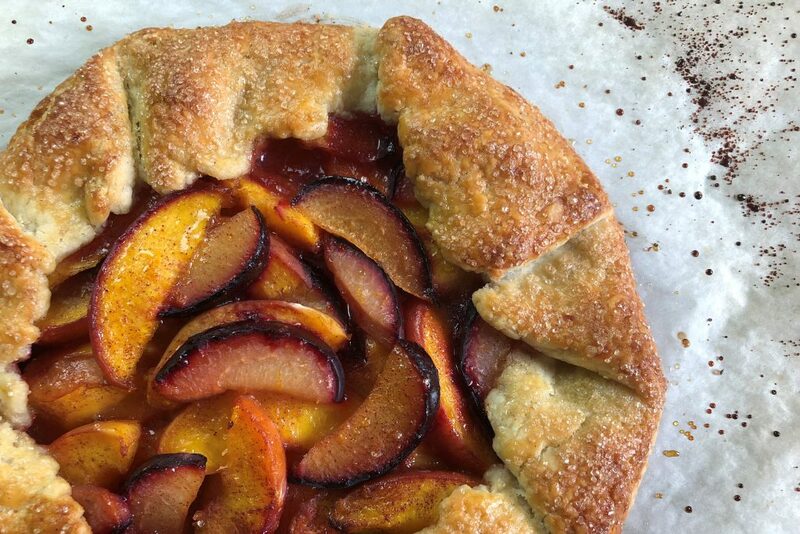 This Peach and Plum Galette is light, fruity and totally reminds me of summer. I love to eat it while it is still warm from the oven and my husband likes to put a little vanilla ice cream on top. I add a little cinnamon for flavor but that’s up to you. Feel free to improvise with different summer fruits and berries. Measure out about 1/2 cup of water and add a few ice cubes. Place into a freezer while you get the rest of the ingredients ready. Measure out the flour, sugar and salt and place in the bowl of a food processor. * Pulse the processor a few times to combine the ingredients. Quarter the stick of cold butter length wise and then cut across until you have approximately 12 cubes. Add the cubed butter to the flour mixture. Pulse around 8 to 10 times or until the butter is about the size of peas. Take the ice water out of the freezer and measure out 4 tablespoons. Pour the ice water gradually through the feed tube while pulsing the processor, just until the dough starts to form some large clumps. Stop and feel the dough. If you can squeeze a piece with your fingers and it sticks together, the dough is ready. The dough should feel cold and damp but not wet and sticky. Add another tablespoon of water if the dough appears too dry. Video - How to make pastry dough with a food processor. Dump the dough on to a clean dry work surface. Gather up the dough and form a loose ball. Place the ball on a long piece of plastic wrap. Wrap the dough and press down to form a flat disc. Refrigerate the dough for at least an hour. 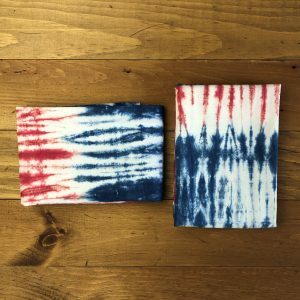 Preheat the oven to 400 F. Place a piece of parchment paper on a sheet pan. Mix together the sugar, cornstarch, orange zest and the cinnamon in a small bowl. Add to the fruit and gently toss to combine. Set aside. On a lightly floured work surface, roll out the prepared pastry dough until you have a 12" circle. Transfer the dough to the prepared sheet pan. Using a slotted spoon, spoon the fruit onto the center of the pastry dough, leaving any extra juices in the bowl. Arrange the fruit over the pastry, leaving about a 2 inch border. Lift approximately a 2 to 3 inch section of dough from the border edge and fold inwards over the fruit. Continue folding and pleating sections of dough over the fruit as you go around to make the galette. Remember, it is supposed to look a little rustic. It does not have to be perfect. Using a pastry brush, brush some of the egg wash over the dough and then sprinkle some turbinado sugar on top. If the dough at this point is starting to warm up, you may want to refrigerate the galette 10 to 15 minutes before baking. Pastry dough needs to stay cold. Bake the galette for 35 to 40 minutes or until the top is a golden brown and the bottom is a light golden brown. Remove from the oven and cool on a cooling rack. Serve warm or at room temperature. The pastry dough can be made by hand. Simply cut the butter into the flour mixture using a pasty blender, 2 knives or your fingers. How to make pastry dough with a pastry blender. The pastry can be made the day before. Let it warm up a bit on the counter in order for it to be malleable enough to be rolled out. Any combination of stone fruit will work with this recipe. Pastry dough recipe was adapted from a recipe found in “Bake From Scratch” magazine, 2017.